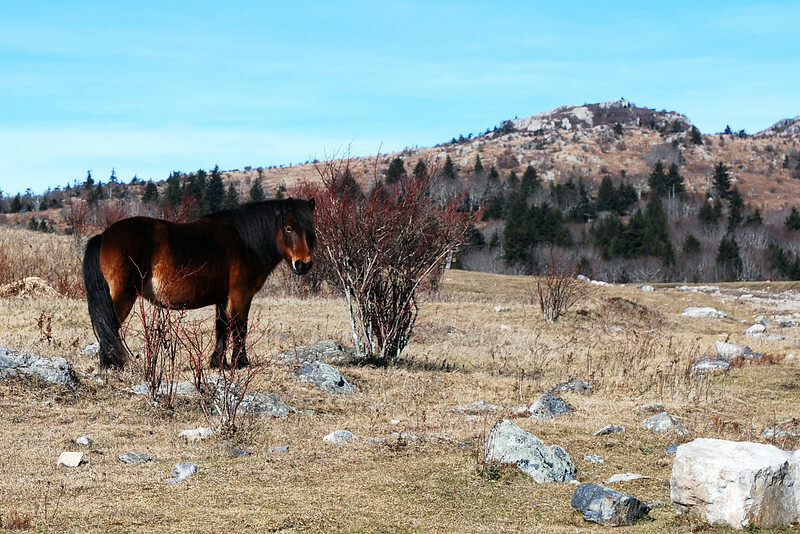 Wild ponies roam around Grayson Highlands State Park in Virginia. This was taken during a backpacking trip with our Boy Scout Troop (November, 2011). This is beautiful location to backpack as the AT runs through the park and you can hike a loop so you don't have to worry about transportation at the end of segment hike.